Living in Washington is wonderful. The city is a museum, culture is everywhere, and politics often makes sleeping pill prescriptions totally unnecessary. Sometimes I lose sight of how interesting and different our city is, but events like the one I attended on Friday night shake out complacency. 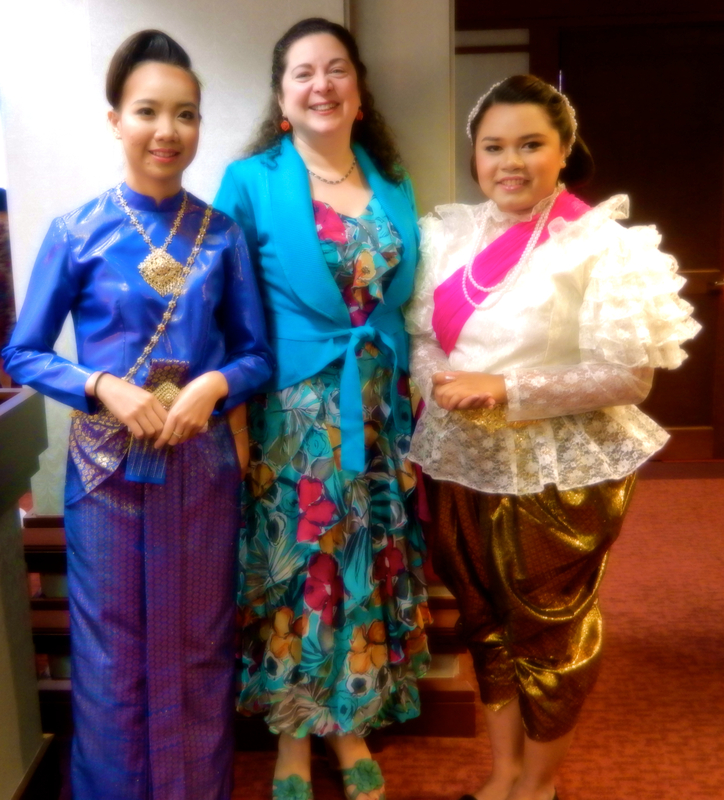 Yes, I was a guest at the Royal Thai embassy in Georgetown. The food was sumptuous, the Ambassador and his staff gracious, and the entertainment divine. I had such a good time, two days later my cheeks still hurt from smiling so much. Above is a snippet of the entertainment for you to enjoy. 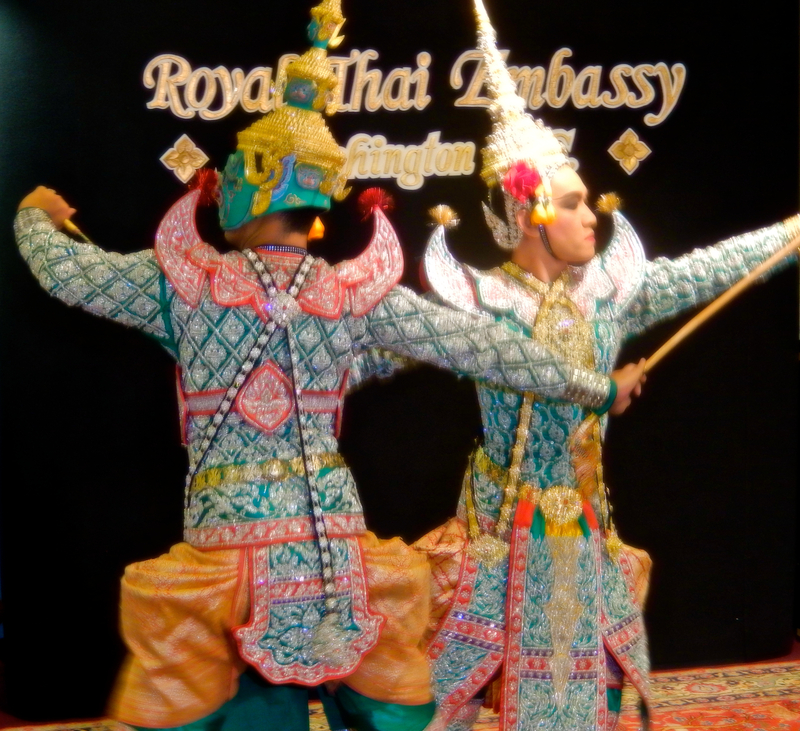 The cherry on the cake truly was the Thai Masked Dance Khon Troupe from Bangkok. For over an hour they danced, fought, joked, clowned, and displayed aspects of the Thai heritage. The men wore brilliant golden costumes, the women dripped dozens of orchids from their hair. Each movement — practiced over decades — seemed effortless, yet I couldn’t fathom getting my fingers into the artistic backward curving gestures or moving with such precise grace. I’d like to thank His Excellency, Ambassador Vijavat Isarabhakdi for his kind generosity during the evening. He reminded me of my husband’s and my trip to Bangkok a few years ago — and a place and people so lovely, I cannot wait to visit there again. 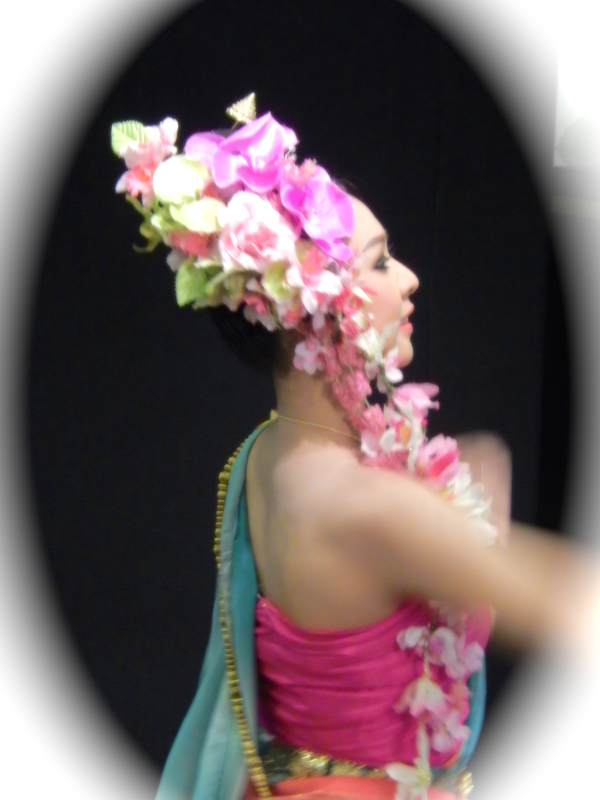 Tagged as: Diana Belchase, Thai Dancing Video, Thai Embassy, Thai Masked Dance Khon Troupe, Top Secret Washington D.C.